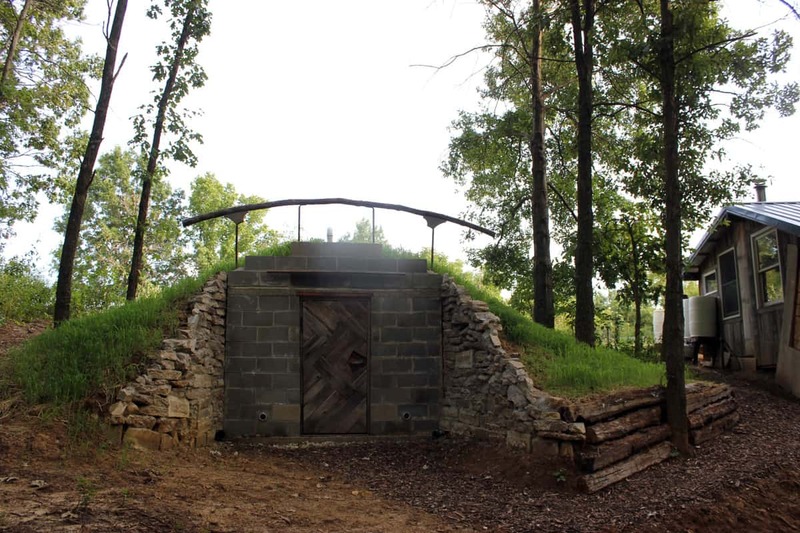 A step-by-step guide to building your own homestead root cellar. If you are a DIY homesteader looking for a time-saving and practical solution to your food preservation needs, or if self-sufficiency is your goal, a homestead root cellar will help you get there! Perhaps you grow more food than you can possibly preserve by canning, dehydrating, or freezing. Or maybe, like me, you don’t really like to spend your summer days over a hot pot of boiling water! Root cellaring is a traditional way of storing and preserving food through the winter that is safe, easy, and fun. Looking for a food preservation solution for our off the grid homestead, we began building our homestead root cellar in the fall of 2015. 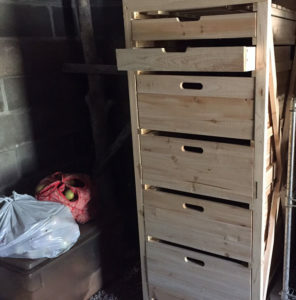 By winter, we were successfully overwintering fruits and vegetables in the cellar. 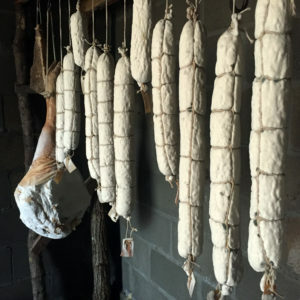 Since completing our homestead root cellar, we put up more food than ever – ferments, vegetables, apples, cheeses, cured meats – with less effort, time, and money. 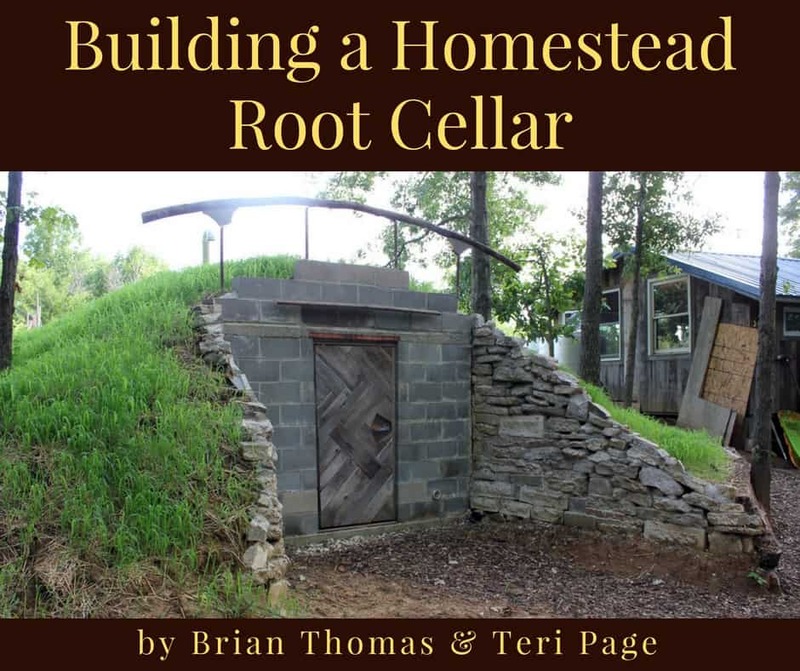 As we built our own homestead root cellar, we documented each and every step, making note of what worked and what didn’t work, and assembling the step-by-step process into an easy to follow eBook that will help you build your own root cellar. In the first section, we’ll take a look at the basics of root cellaring. 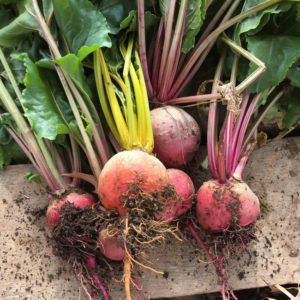 You will learn how root cellaring works, the optimal conditions for food storage, why root cellaring is such a valuable addition to your homestead, and some food that you can safely and easily store in your root cellar. Next, we’ll talk about planning your root cellar, from size to siting to materials, and we’ll talk about some ways you can modify the design of our root cellar plan to meet your family’s needs. 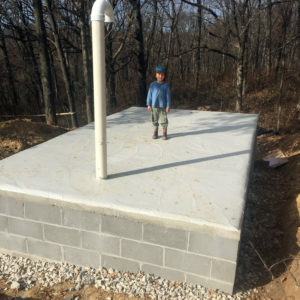 And in the final section, we will walk you step-by-step through the process of how to build your root cellar into a hillside. 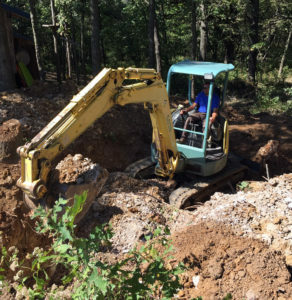 We begin with excavation and laying a concrete foundation, and outline each and every step, all the way through covering your root cellar with earth to moderate the temperature. We’ve included dozens of color photos and illustrations so you can visualize each step of the building process. 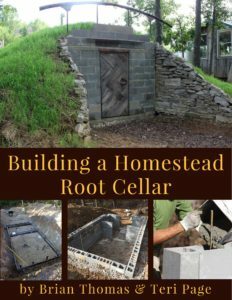 Building a Homestead Root Cellar is available as an instant downloadable PDF eBook to be enjoyed on your phone, computer, or favorite eReader. I know, you might be thinking that building a homestead root cellar is a big undertaking! 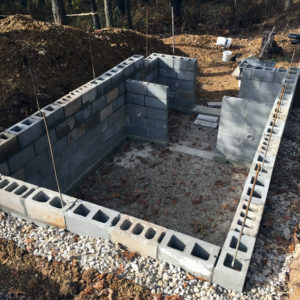 Yes, it can be, but we’ve made the process as simple as possible by documenting the step-by-step approach that we took to build our own concrete block, walk-out root cellar. Armed with some basic building skills, you will create a structure that will transform your ability to preserve and store food (cheese cave, anyone?!?) and better yet, will last for generations. Our root cellar is an invaluable part of our homestead that has empowered us to become more and more self-sufficient. It was one of our best homestead investments and will become one of yours.